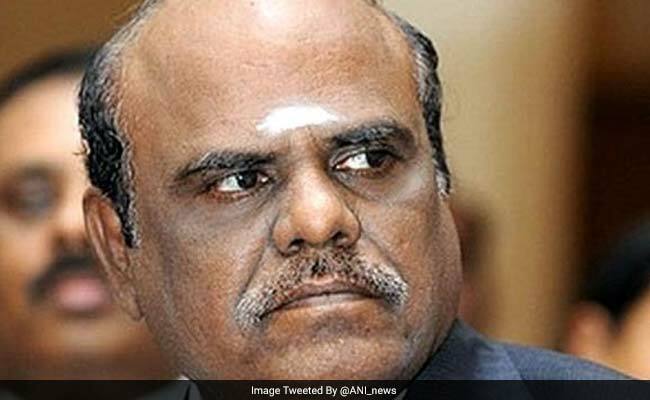 Justice SC Karnan, through his lawyers, had moved the Supreme Court seeking recall of the May 9 order of the seven-judge bench which had held him guilty of contempt of court and sentenced him to six months imprisonment by ordering the West Bengal police to take him into custody. New Delhi: Calcutta High Court judge Justice CS Karnan, evading arrest since May 9, has received yet another jolt from the Supreme Court, which has refused to list and hear his plea seeking recall of the order awarding six-month jail term for contempt of court. The petition was held as "not maintainable" by the Supreme Court registry. "It is thus manifestly clear from the averments made in the petition that the petitioner intends to impugne and challenge the judicial order passed by this court on May 9, 2017, in the suo motu petition. The proceedings therein were decided on merits and after due consideration, it was held that Justice CS Karnan had committed contempt of the gravest nature resulting in finding of guilt. 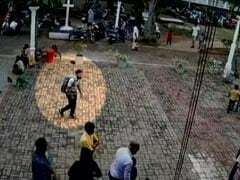 As a sequel the petitioner also stands convicted and sentenced to an imprisonment of six months. The said findings have since attained finality," a top court registrar, who deals with listing of fresh writ petitions, said in his order. "I am constrained but to hold that the present writ petition is not maintainable. The relief if any lies somewhere else. I thus see no reasonable cause to receive the present writ petition for registration under the provisions of Supreme Court rules, 2013", the registrar said. The order was passed on May 12 and sent to Justice Karnan's lawyers three days later. Justice Karnan is yet to be arrested. The judge, through his lawyers, had moved the Supreme Court seeking recall of the May 9 order of the seven-judge bench which had held him guilty of contempt of court and sentenced him to six months imprisonment by ordering the West Bengal police to take him into custody. On May 12, Justice Karnan, whom the West Bengal police is looking for, had moved the top court for reliefs saying neither high courts, nor their judges are "subordinate" to it. "The petitioner, a judge of the High Court of Calcutta, is not under any disciplinary jurisdiction of either the CJI or the bench of seven judges constituted by the CJI, as in the instant case," the plea, filed through lawyer Mathews J Nedumpara, said. He had sought recall of the top court order awarding him six month imprisonment, saying that he could not be held guilty of 'contempt of court'. He had said if the allegations levelled by him were untrue, then "it would at the most amount to defamation". "Under our constitutional scheme, high courts are not subordinate to the Supreme Court; high courts are as much independent as the Supreme Court is, though their orders could be judicially challenged in the Supreme Court, the latter being a Court of Appeal," the petition said. Justice Karnan said the Contempt of Courts Act was a "cathartic jurisprudence which belonged to the Dark Ages, the era of inquisition and torture, distinct from the classical Roman Law which constitutes the foundation of the modern jurisprudence." He has said the showcause notice issued by a seven judge bench to him on February 8 be declared "unconstitutional" as it was against "the principles of natural justice". He has also sought a stay on all "further proceedings" pursuant to the May 9 order holding him guilty of contempt and award of six months jail term. Meanwhile, the lawyers representing Justice Karnan have claimed that a representation has been made to the President seeking suspension of the Supreme Court order sentencing him to six-month imprisonment for contempt. However, the president's office said, "It was not aware of any such representation."